Pets are good for us - according to science. Studies have shown pet owners are less likely to suffer from depression. As well as owners reporting they were happier, had higher self-esteem, and less lonely. There’s considerable evidence that pets help with our mental wellbeing, now let’s help them. Our furry friends can suffer from the same mental illnesses we do. In fact, vets regularly give antidepressants to dogs to treat stress related issues. 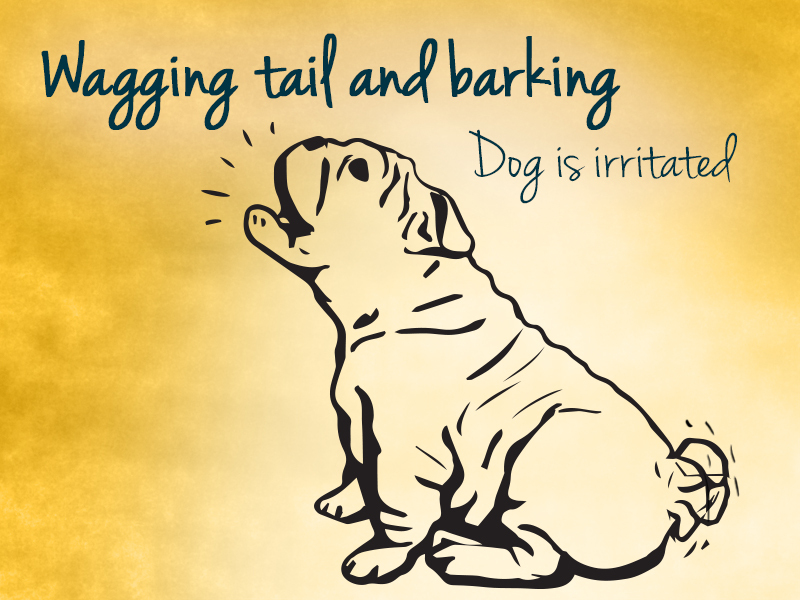 To help you understand your animal better, we’ve compiled a list of pet body language. Now you’ll be able to know just exactly how they’re feeling. “What are you looking at human?” Is what you might think your cat is thinking. It often looks like your cat is annoyed, but the slow blink actually signifies that your cat is not a threat to you or another animal. 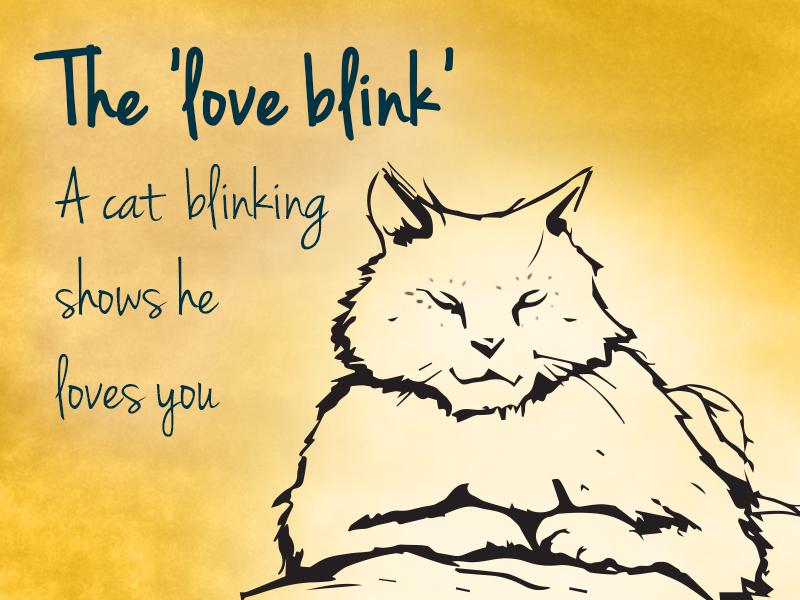 Also known as the ‘love blink’, this facial expression shows your cat loves and trusts you. 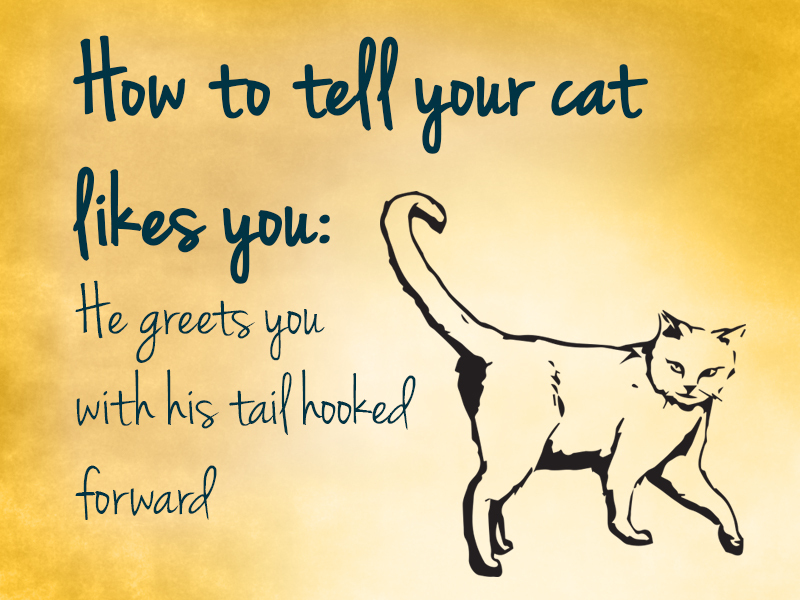 Does Your Cat's Tail Hook Forward? A calm cat that has their tail straight and a hooked tip pointing forwards, is the cat greeting you. This gesture means the cat is happy to see whoever they’re meeting. You may have noticed your cat still in slumber, but his tail is full of energy - tapping away. 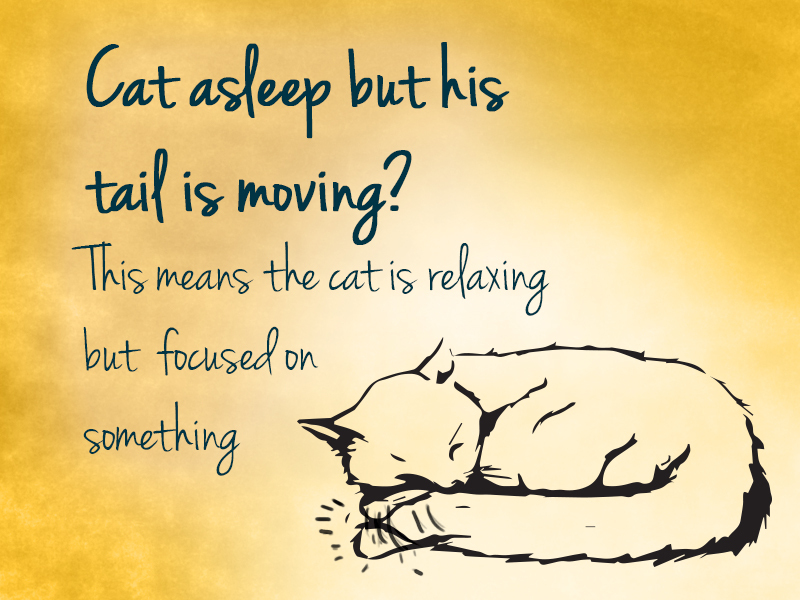 What this usually means is your cat is relaxing but focusing on something around him. It could also mean your cat is fast asleep and dreaming. Recognise this face? No, it’s not your cat in shock. This is actually your cat smelling more clearly. Cats have an extra organ on the roof of their mouth - the Jacobson’s organ. 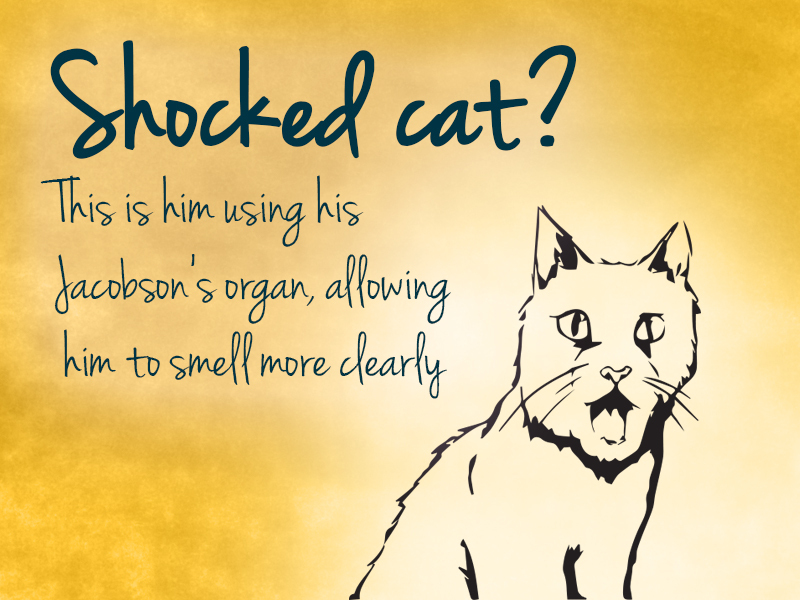 This organ helps them smell better, so when you see your cat do this, they’re opening up their Jacobson’s organ to smell an interesting odour. 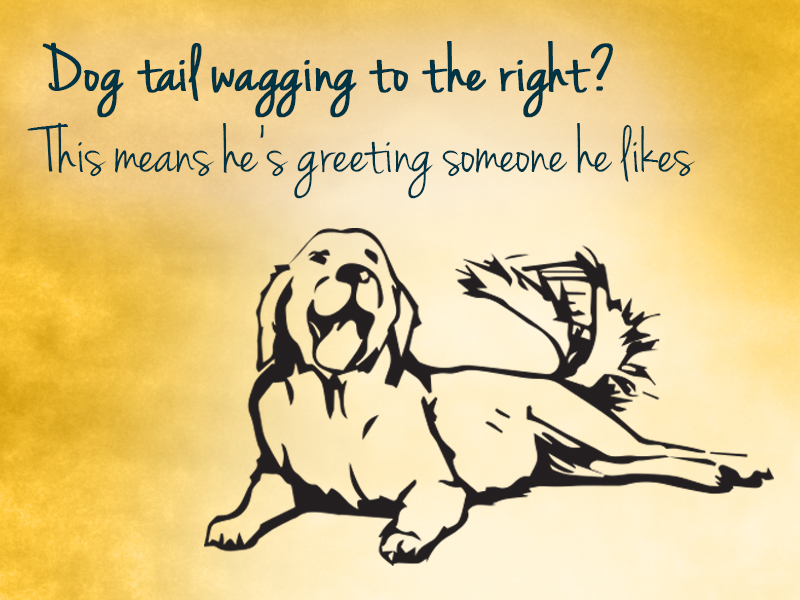 Studies have found that a happy pooch will wag his tail more to the right when he sees someone he likes. And more to the left when meeting a stranger. Is Your Dog Happy or Angry? You might think a dog wagging its tail means he’s happy. But a dog wagging his tail, barking and has hard staring eyes symbols the dog is too stimulated and irritated. Probably best not to approach this pooch. 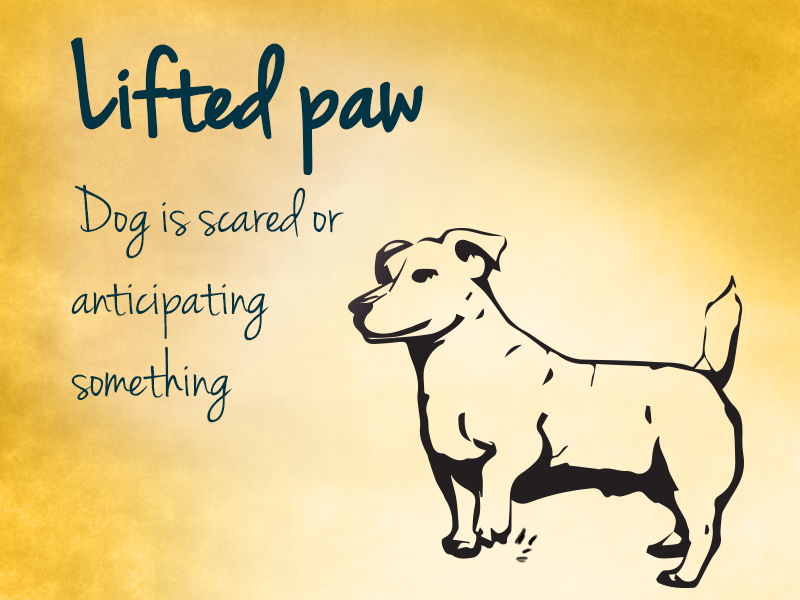 When your dog lifts his front paw, it could mean two things. Fear or anticipation – anticipating his next meal, alive or cooked. 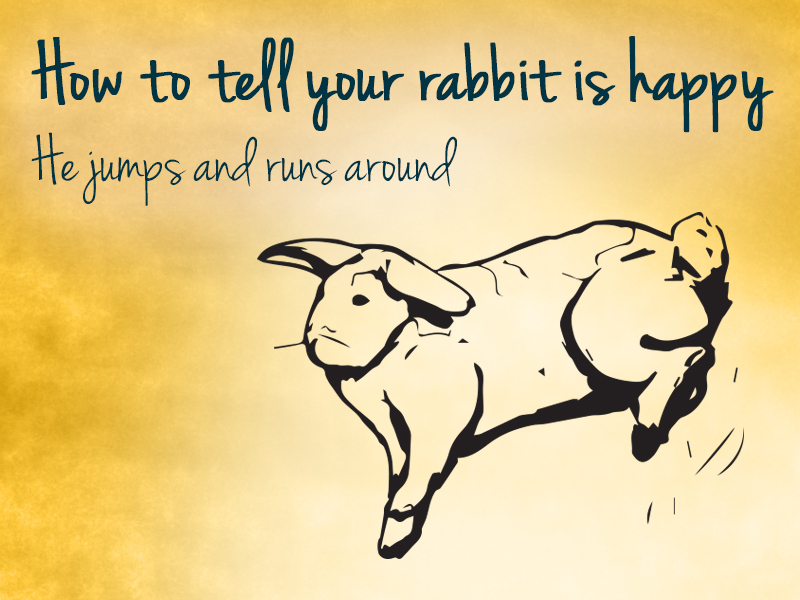 When a rabbit thumps one foot or both of its hind feet, this can mean a few things. One mood they could be displaying is fear, and this body movement is alerting other rabbits to danger. 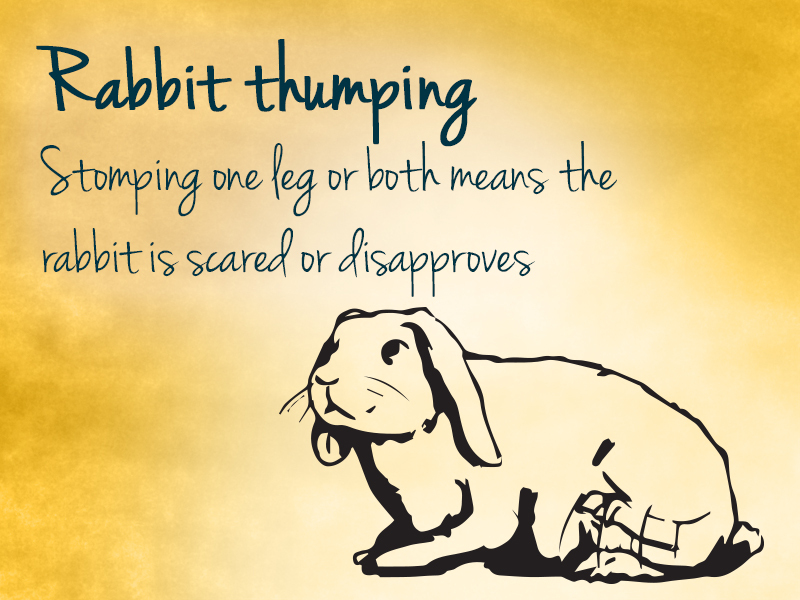 Sometimes rabbits use thumping as a way to show they’re not impressed, and they disapprove. 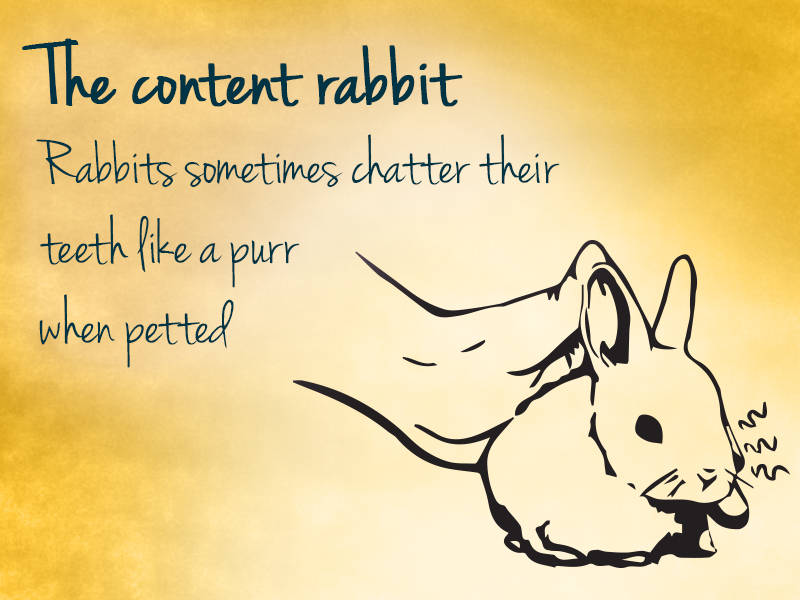 Teeth clicking - often known as a rabbit’s version of purring. This motion indicates your rabbit is quite happy and content, and often accompanied by jaws and whiskers moving a little. Usually displayed when a rabbit is being petted. 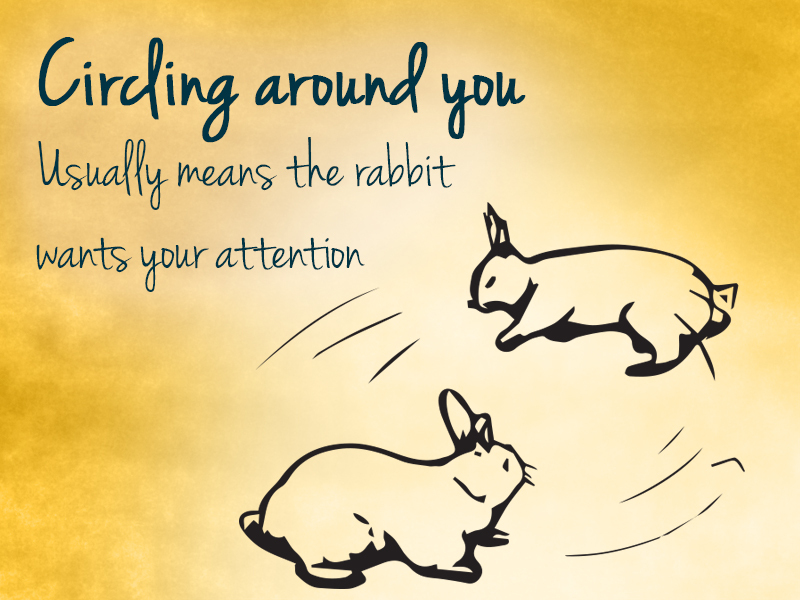 More commonly courting behaviour but can also indicate your rabbit wants something - “HEY! Human look at ME!” If you have a tasty treat a rabbit may circle your legs so you notice him. A happy rabbit will often display their mood by running around a room, kicking up feet, jumping and turning in the air.